One of the most important considerations for the quality of your sleep is the type of pillow that you’re using. A good pillow keeps your neck and spine aligned properly and can help you sleep more soundly, and feel better when you wake up in the morning. If you wake up with a sore or stiff neck, it’s likely that you aren’t sleeping with the best pillow for your specific needs. To address this problem, we looked at a mix of pillows from around the United States, and we selected the top American-made pillows based on factors like fill type, case quality, thickness, adjustability and more. Below are our findings, along with a ton of details for each of our top picks and the factors we considered in our research. Selecting the best pillows made in the USA is no easy feat, and we spent extensive time in our selection process. Overall, we found four brands that stood above the competition. The Hullo Buckwheat pillow impressed us because of its flexibility and its cool feel throughout the night. The Malpaca pillows were some of the softest pillows that we had the opportunity to test out and held off against compression surprisingly well for the material type. The George Oliver accent pillows impressed us with their look diversity, making it a simple matter choosing the perfect look for every decorating task. Lifekind also has a ton of style options. Each of our top picks are broken down into categories below. Below are full reviews of our top options and what stood out about each of them. We also list some watch outs for each one, along with where to find them. Hullo offers a unique pillow that stood out to us because it’s highly moldable yet remains cool during use. This unique product is formed from a 100% organic cotton sleeve filled with buckwheat hull filler. We love that you can adjust the thickness and even the shape of the pillow by adjusting the filler that it has. This product is animal free and is designed to compress minimally, ensuring that you have a nice plush surface to rest your head on at night. The pillow is filled with buckwheat hulls that maintain space ensuring optimal airflow while you’re sleeping. This pillow is one of our favorite American-made sleep products, and is built for long-lasting performance. 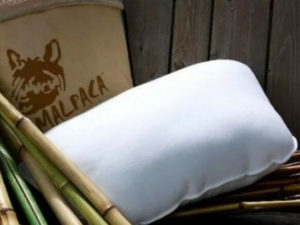 Malpaca offers high-grade hypoallergenic pillows handcrafted in the United States, giving you a sleep product that you can feel proud about owning. These pillows are made from high-quality materials and they are built to last as well. We love the soft feel of the organic bamboo and cotton covers. Each pillow is stuffed with 100% Alpaca, offering a luxuriously soft sleeping surface. All of the Alpaca is sourced from U.S. ranchers, which is part of the reason why Malpaca loves to manufacture in America. We had the pleasure of speaking to Mary, their founder, over the phone recently who had this to say: “I prefer to support our Farmers/Ranchers here in the U.S. first, and purchase the alpaca fiber from them. This all gets sent to my manufacturing plant in Minnesota, where I have much more quality control, than if it was all outsourced in another country.” As Mary pointed out, quality is super important when dealing with animal fibers, to make sure it is washed and processed correctly. If that weren’t enough, these pillows wick moisture away effectively for comfortable sleeping conditions, and the pillows are all free from pesticides and chemicals, making them a healthier option. They offer long-lasting performance and can give you a good sleeping surface that is going to remain fluffy and comfortable through years of use. On top of all that, Malpaca has amazing customer service, which Mary pointed out is one of the things that her customers love most. She is always available by email or phone! Lifekind is an American brand that’s known for producing organic high-quality products, which is why they’re a good source for a personal sleeping pillow. We love different filler materials available in the Lifekind’s pillows. 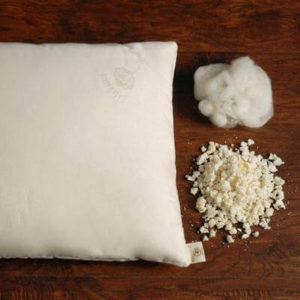 You can choose from natural rubber, cotton, wool, buckwheat hull, or goose down as your pillow filler. We were impressed with all the different lengths, thicknesses, and fluff levels offered by Lifekind pillows. There are more than a dozen different style options to choose from, making it easy to get a perfect pillow for your specific needs. Everyone’s sleep needs are different, and most people will find a pillow they like at Lifekind. The George Oliver Accent collection offers the perfect accent for all your décor needs. These pillows come in a good mix of shapes and sizes, and more importantly they can be found with a huge range of different print types. Most of the pillows in the collection are wrapped with a tough polyester fabric and many are stuffed with a polyester or polyfill material that holds up well to moisture. There are inside and outdoor pillows in the George Oliver accent collection, making it easy to get just the right accessory wherever you need it. The pillows range in size and price dramatically, and it can be difficult selecting the best option with so many different choices available. 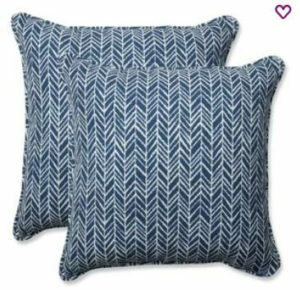 We were also a bit disappointed to see that each specific accent pillow is only offered in one set of dimensions, making it difficult to get the perfect size and look for every decorating project. Most of these pillows are machine-washable, making them easier to care for. We looked very closely to the type of fill in each of the different pillows. We focused on finding the most comfortable fill that avoids compression and offers a moldable sleeping surface. There were a few different fill options that stood out the most when building this list. Goose down and Alpaca are two of our favorites for pure comfort and softness. Natural rubber and buckwheat hull are the two options that stood out for moldability and for heat dissipation. Sleepers that are searching for the absolute softest pillows would prefer the first two options, but for versatility and a cooler sleeping environment buckwheat or rubber was able to impress us during our performance tests. These pillows remained cooler throughout the night, they could be molded to the right shape, and they still offered a soft sleeping surface. The one thing that we noticed again and again when looking at sleep studies and talking with others about their sleep preferences is that everyone sleeps differently and has different concerns about sleep. What that means for pillow purchases is that some people prefer thick pillows, some prefer thinner pillows, and some want uneven pillows for their sleep position. It’s nearly impossible to make a pillow that’s going to appeal to everyone, which is why we looked for pillows that were adjustable. We favored pillows with removable filler that could be thinned down if necessary. We also looked at pillows that could be purchased with different levels of fill already in them, but these were less effective than the pillows that could be adjusted after purchase. The next most important factor that we consider when selecting a pillow is the type of cover that it comes equipped with. For breathability and strength, we prefer an organic cotton cover, but during our testing we came across some bamboo covers that impressed us as well. We looked closely at the thread count and quality of each cover to verify that they were made to last. We verified that the cover contains the filler material well and that it helps create an even feel for all the filler inside. We also looked at reviews from long-term customers for each pillow to see how the covers held up for them through years of use. A good cover should hold up well through many wash cycles and offer a soft sleeping surface. The last thing that we examined was the care instructions on each pillow. We looked for pillows that would be easiest to maintain, which meant that machine-washable pillows were higher up on our list. Unfortunately, many more natural pillows can’t be treated with machine washing. We tried to recommend pillows that were machine washable when possible, but some of our recommendations were for pillows that must be spot-cleaned. 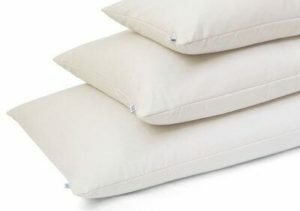 For these pillows we recommend getting a good cover for them to maintain their structure over time.